It's been a little while since I've posted. Over the last couple of weeks I've had some really good beers. 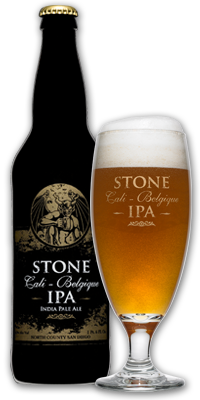 This is a California Belgium. It's not your typical Hef or Blonde. This beer is something remarkable. The label describes it perfectly. It's a stinky Belgium. It has a subtle undertone of grains as you drink more, it actually smells almost like a skunk. It's the type of beer that goes well with anything because it not to heavy. Great amber color and awesome texture. 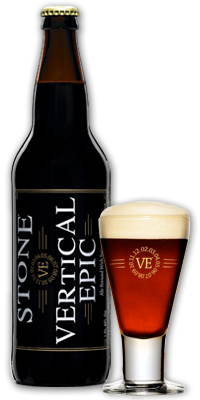 This is a special release from the Stone Brewing Co. It tells you on the bottle to condition it for one year. I tried it without bottle conditioning and it was delicious. You can taste the cinnamon and the Anaheim Chile's with every sip. The color is a dark amber and it has very little head on the pour. I believe this is because the beer hasn't been bottle conditioned. I have found that no matter where I go, beer brings people together. If anyone has any recommendations on good beers for me to try or any new beer recipes just let me know. Three...count' em, 3 reviews of festive beers! Beer Links for Boxing Day! Christmas Holiday PSA - Be safe out there! Welcome to Your Weekend - Christmas Eve Edition! Beer links brought to you by Hanukkah! Beer Links brought to you by poutine! Beer links brought to you by the 21st Amendment!